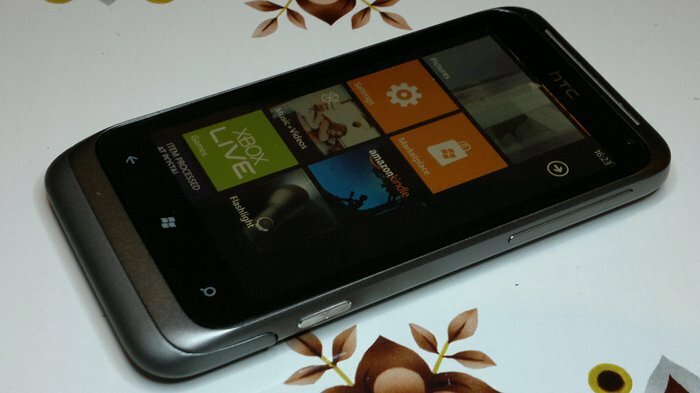 The Radar is HTC's latest sub-4" Windows Phone 7 device. While being yet another touch slab, the Radar's design and specifications offer subtle differences to others in its class. From its premium build quality and 3.8" display (as opposed to the usual 3.7") to its non-replaceable battery and lack of digital compass, there is plenty to talk about. Not to mention the suite of HTC exclusive applications. Read on to find out more. Positioning Assisted GPS, but no digital compass. 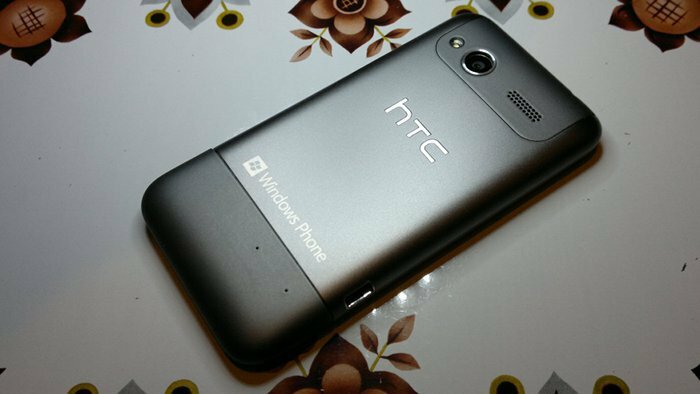 While the Radar reflects HTC's generic design language, it still manages to have a noticeably premium look and feel compared to other HTC Windows Phone 7 devices. At a cursory glance, we've seen it all before: grey metal, volume rocker, topside power button and headphone jack, side mounted USB socket, and a bi-colour charging indicator behind the earpiece grill. When you look closer though, you find there is an attention to detail not found in other HTC devices. The capacitive button strip is much thinner than on every other Windows Phone 7 device I've seen. Others have relatively large blank spaces surrounding their capacitive buttons. The slimness of this strip on the Radar makes room for its 3.8" display. The USB port exudes class with its silvered lining, and the camera shutter key lends a further air of quality thanks to being made of radially engraved metal. The Radar's Super LCD (S-LCD) screen looks fantastic - especially if you are upgrading from a device with a TFT screen which will look comparatively washed out. The outdoors visibility of the S-LCD screen is OK too. Do note that I'm based in the UK though, so at this time of year I was limited to testing in dull conditions. Even though the Radar's 3.8" screen is larger than most devices (3.7"), it makes little difference to the pixel density, and so text still looks sharp and clear. The only downside of the display is that the pixels are not pressed up against the Gorilla Glass screen - unlike the Lumia 800 or Titan; and the light from the capacitive buttons can be seen shining between the display and the glass, when viewed from above. The camera module and loudspeaker are marked out on the back of the Radar by an almost rubbery feeling material which gives the device its two tone colour accent. The camera has a silvered bezel which protrudes slightly giving the glass some nominal protection. 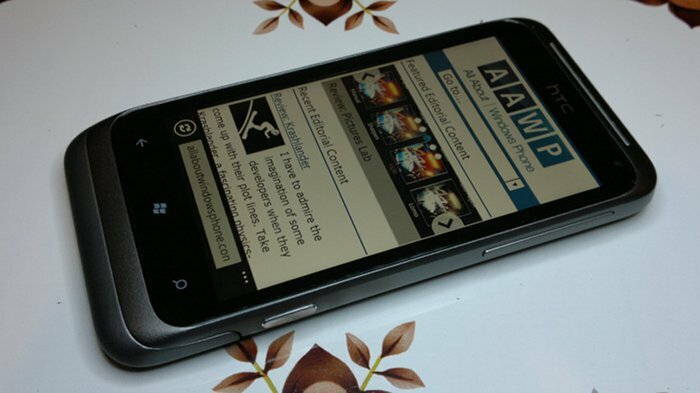 This is yet another example of the simple design tweaks on the Radar that set it ahead of the rest of HTC's Windows Phone 7 product line (Titan excepted). The Radar's loudspeaker is of good quality, and has an adequate amount of power, but it will struggle in a medium size room. One minor complaint is that it becomes muffled when the phone is laid on its back. This seems to be a recurring problem on HTC Windows Phone 7 handsets; the Radar is far better than the 7 Pro in this respect, but the older Mozart has a recessed speaker which fares better. While the Radar has Assisted GPS, there is no digital compass. This should not be regarded as a deal breaker because - unlike Nokia Drive on the Nokia Lumia 800 - Bing Maps is in no state to replace your car's satnav. However it does smack of cut corners, considering that every phone I've reviewed in the last two years has had a digital compass. It also breaks the user experience somewhat when applications have to pop up a notice that a compass isn't present. 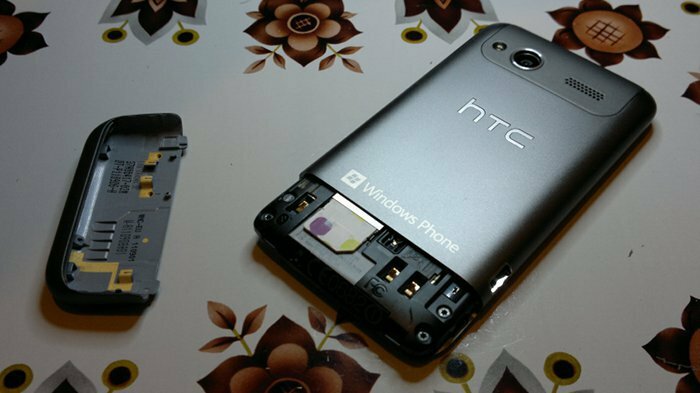 Unusually for a Windows Phone 7 device, the HTC Radar does not have a replaceable battery. There is a full width bottom cap - covered in the same dark rubbery material as the camera section - that un-clips from the Radar's metallic unibody which gives the impression a battery will slide out. However, all that it reveals is the SIM card slot. The cap has some metal contacts which suggests some or all of the phone's antennas are contained within. This is somewhat disconcerting given that call and data connection quality will depend on these connections which could suffer from wear and tear. However, given that there is no battery or memory card to change, real world usage should not require this cap to be taken on and off a great deal. Looking around the Radar, we find no surprises with the layout of the various sockets and buttons. The left-hand is only occupied by the microUSB socket at the lower-end. The right-hand side has the aforementioned camera shutter key at the lower end, and the volume button strip at the top-end. The volume keys would benefit from being a little more prominent and giving more tactile feedback though. The rear face of the HTC Radar is quite elegant. 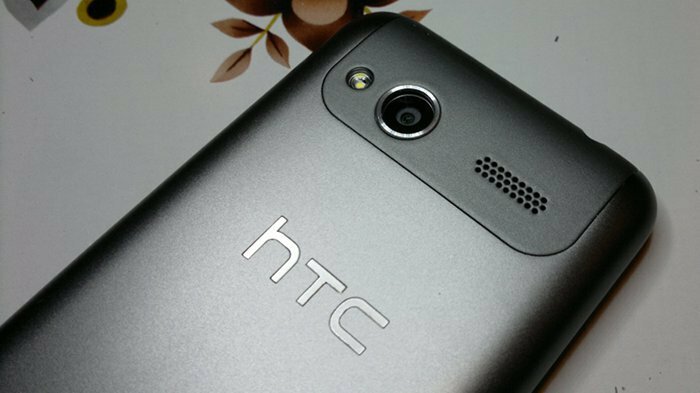 There's no over-design - just a wide flat space only interrupted by the engraved HTC logo. The only other features are the SIM card cap and camera area which were described above. The front of the Radar is - as you might expect - dominated by the display. There is a thin earpiece grill at the top accompanied by a front facing VGA camera for video calling - an unusual feature for a Windows Phone 7 phone. Beneath the display are the three standard capacitive buttons. As discussed above, the area they occupy is much narrower than on other devices, and the Radar's overall look benefits from this. Given that the Radar does not have a replaceable battery, it is crucial that it lasts through a normal day's usage. Fortunately, it comes with a 1520mAh battery, which seems to be adequate. When you are indoors and thus close to a charger, you can afford to use it heavily for four or five hours before needing a top up. However, when I took this phone away from base, I kept the battery saver mode on all day to make the most of the battery. After an eight hour outing; with regular SMS, camera, GPS and 3G usage; it was well above the 20% mark when I got home. A qualified success. The Radar's size is unusual for a sub-4" device. Instead of the usual 3.7" display, HTC gave the Radar a 3.8" display and scaled the casing accordingly. While 0.1" sounds like a tiny difference, it has a noticeable effect on how the device needs to be held. Phones like the HD7 and Titan are so large that it's clear they are meant to be used with two hands at all times. However, with smaller devices, we instinctively hold in one hand and operate with our thumb - it's muscle memory from old button driven mobile phones. Operating the Radar with just one thumb is possible but tricky - of course, this depends on the size of one's hand. I found that the base of my thumb (the Thenar muscle) kept pressing on the shutter key and launching the camera application. To avoid this, I had to adapt to holding the Radar in uncomfortable positions. Typing with one thumb is possible too, but again, it's a stretch. Of course, the alternative is to always use two hands with the Radar, but it just feels too small to warrant that. Therefore, the natural inclination [at least mine] is to use it with one hand - albeit uncomfortably. The HTC Radar comes with an almost identical set of HTC-exclusive applications to the HTC Titan. The most useful of them (installed on every HTC device) is the Connection Setup utility. This application will automatically configure the 3G access on your device and supports every network and MVNO (virtual mobile network) in the UK - even if you're on Tesco Mobile or GiffGaff, it will correctly configure your phone for you. HTC Watch - offering full films and TV shows at (what are to my eyes, at least) slightly inflated prices - but I guess there's the convenience factor of browsing, buying and downloading all on the phone via wi-fi, perhaps on a trip, in a hotel room. Video quality is excellent, as you can verify for free by watching the free trailers, available for all of the movies on offer. Plus a number of minor additions to the Titan's Windows Phone settings pane, including 'Attentive phone', for enabling sensor-related actions such as 'Flip to mute ringer'. Nothing we haven't seen on countless smartphones before, but good to see HTC adding little touches here and there without altering the main Windows Phone UI at all. * Of worthy note is that all of the above additions are also available, for free, for existing, older HTC Windows Phone handsets like the HD7, i.e. these aren't Titan-exclusive in any way - they're HTC exclusives. 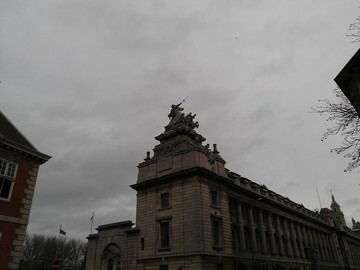 The 5 megapixel stills from the Radar's camera are fairly standard for HTC devices. The overwhelming impression of photos taken by the Radar is that they are blatantly under saturated. If you dare to use the Radar for serious photography (e.g. family gatherings, etc.) I can guarantee that you will have to use your PC to boost the colours to a realistic level later. Fine details in the Radar's photos look like they're being seen through a film of grease. I suspect that this is some over zealous algorithm attempting to smooth out sensor noise. However, when you examine the Radar's photos in minute detail they look equivalent to Nokia's EDoF images. However, the Radar's optics can handle up-close objects which means it is adequate for document scanning - but only just. To illustrate these flaws, here's a side-by-side comparison of the Radar's image quality next to [arguably] the best camera phone in the world - the Nokia N8. The Radar's photo is overlaid on the left, and is a 1:1 copy - i.e. 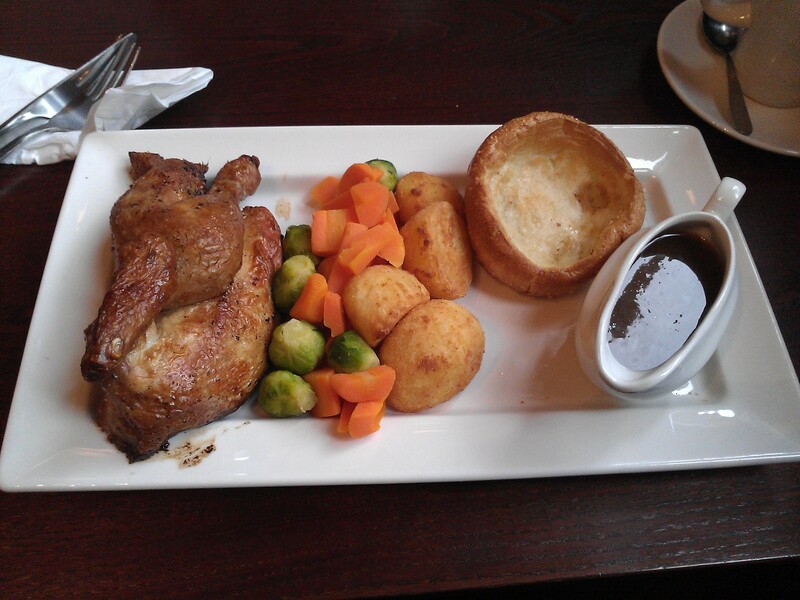 not scaled. 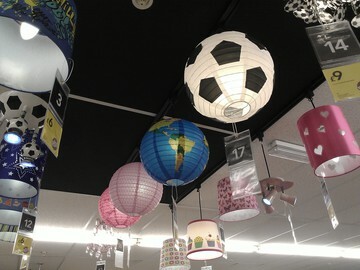 Both photos were taken without added flash - just the internal lighting of the room. Also, the photos were taken at approximately three meters away from the subject and were then tightly cropped down. Of course, since the N8 has a 12MP camera, its photo has been scaled down to match. As you can see, the Radar's colours are extremely dull and the fine details have little sharpness. 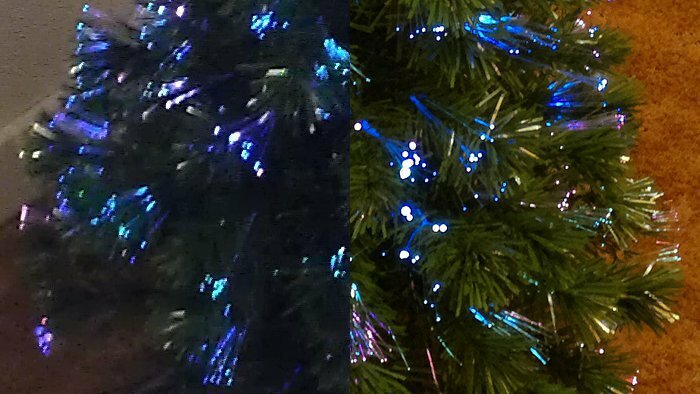 Christmas tree comparison - HTC Radar on the left, Nokia N8 on the right. The Titan's camera keeps auto-focus active, constantly re-focusing whenever it detects that the scene has changed. The theory is that new users can just mash down on the physical camera key and they won't have to know about half-pressing to focus because the photo will already be pre-focused. It's a system that has the potential to work very well, though anyone who knows what they're doing will want to manually focus instead (by half-pressing again or by tapping on a spot in the screen/viewfinder. The following set of photos were taken on the Radar in a range of conditions. Click each for the full size image, you can judge for yourself whether the camera is good enough for you. 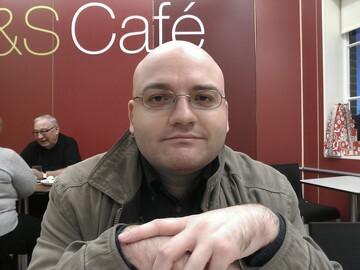 As you can see, Windows Phone 7's face detection system helps the Radar to produce a rather crisp looking facial shot. 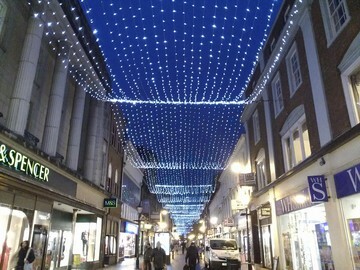 Also note that all the outdoor shots were taken in poor conditions courtesy of the British weather! In addition to the standard camera settings, HTC also included its "Camera Modes" software which adds burst and panorama modes to the Camera application. It's doubtful that these will be used in everyday circumstances, but it's still nice to have them for the odd time you need them. You can see an example of the panorama stitching below, again click for the full size image. Video capture on the Radar produces fairly pleasing results. Just as with the Titan, the option of fixed or continuous focus is available. 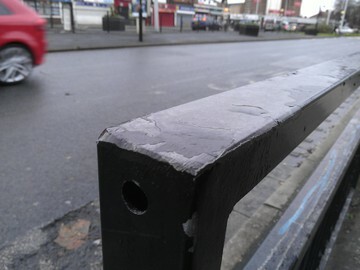 The fixed focus mode works by having a high depth of field so as many objects as possible are in focus. The continuous focus mode will be useful to those who know what they're doing and want to take macro video. However, the end result is a video full of distractions as the image is distorted by the optics continually readjusting themselves and the microphone picks up the constant clicking noise of the lens actuators. These videos give a demonstration of the Radar's close up video performance with and without continuous focus. Listen carefully for the focusing clicks! It's hard to separate the Radar from other HTC devices. That's not necessarily HTC's fault, as the prescribed design for a Windows Phone 7 device leaves little room for variety. However, in the Radar's favour it has the best build quality of all the HTC Windows Phone 7 devices I've tried so far. That alone could make the Radar worth choosing over other devices especially if you don't need the Xenon flash of the Mozart or the physical keyboard of the 7 Pro. 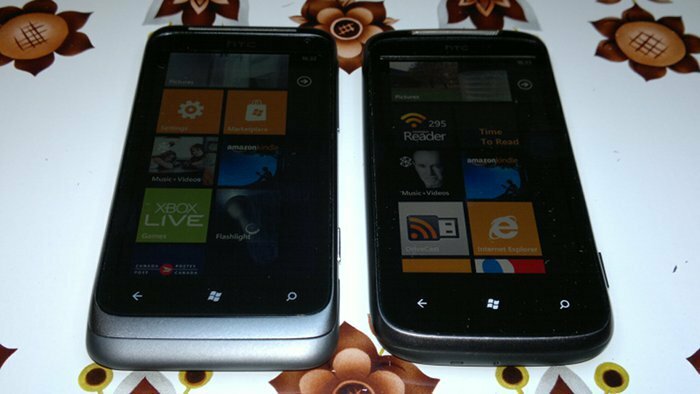 However, the Lumia 800 has shown that the Windows Phone 7 design prescription doesn't have to mean making just another grey touch slab. Given its size, I recommend that you visit a high street shop and try holding the Radar, as it might not be a comfortable fit. Also consider your likely usage pattern and decide whether a non-replaceable battery will be a problem for you. If you want to buy an unlocked HTC Radar the best retail price is around £290, and second hand prices on eBay range between £150 and £263.